Interesting eco-friendly furniture designs can be found in many unique forms and comprised of many different materials. The following however, require some unusual upkeep for furniture – sunlight. A project from Tim Gaudreau Studios aptly entitled Green Furniture was started as a way to inspire people to get back to the natural world that grew into a seating concept for outdoor areas. Looking for a sustainable approach to furniture manufacturing, he decided to take things into his own hands and cultivated outside seating surfaces that were agriculturally derivative. Covered entirely in grass, the designer stated that in the mainstream the couches would ideally be made with local grasses and plants. 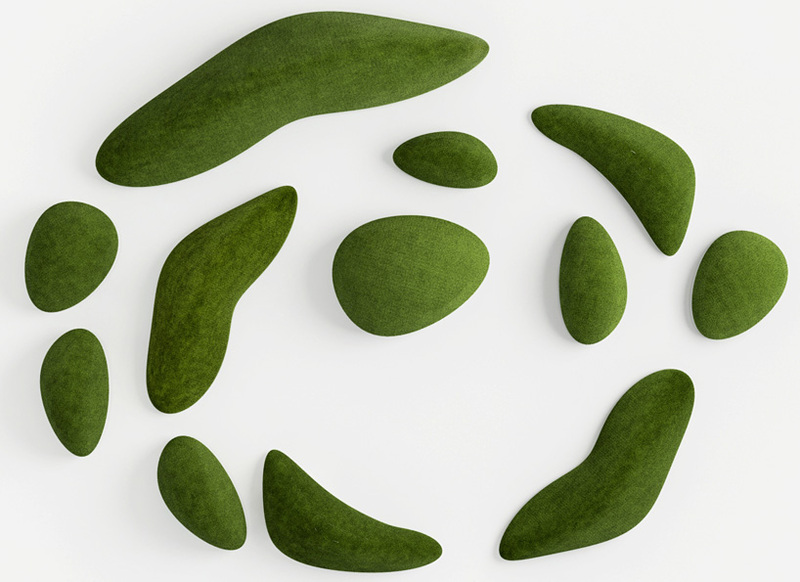 The grass sofas have been exhibited as organic structures, but also as statement pieces from the designer who conferred that we have regressed into a more indoor way of life, with nature often something that is not a part of the everyday. Another green spin on outdoor furniture comes from B-ton Design. Their bench, table and chair are made from cement bases but include portions to hold shrubbery or plants. The pieces, called Mobilier à jardiner, are a sophisticated way to add some color to a bland seating area. This could also inspire a less costly do it yourself project with benches and planters. This chaise lounge that doubles as a planter from Deger Cengiz is a portable way to move around a green seating area and might bring a bleak concrete patch to life. A bit reminiscent of a large scale Chia Pet, it could make nearby plastic lawn furniture look a bit out of place. A more expansive outdoor seating operation from Eyal Soodai called koh forms hills and earthen sculptures, then lets the grass grow for a resting spot that needs an occasional good rain. These green models evoke natural furniture designs that are one of a kind and yet simple at the same time. Though just sitting on the grass could work, too. And that’s free.